Walking the streets of the South Capitol neighborhood in Olympia is like walking back in time – homes faced with Colonial brick or Mediterranean pink stucco, Victorian-style cottages and preserved Craftsman bungalows. Yards with eye-popping gardens, the streets lined with ancient fir trees, and blooming cherry blossoms (if you catch them at the right season). According to LivingPlaces.com, the South Capitol neighborhood was designated a National Register Historic District in 1991. The district is comprised of over 440 properties, made up of mostly single-family residences, but also includes park spaces, professional offices, duplexes, an elementary school, a local mini mart, and two churches. Those who have walked through the neighborhood before may have noticed round bronze plaques on some of the homes, meaning they have been registered as historic homes. As the name suggests, the neighborhood is unique not only in its heritage, but in its prime location, immediately south of and walking distance to the Washington State Capitol Campus. Because of this, the South Cap neighborhood has long been known for housing prominent business people, politicians, and lobbyists all throughout the 20th century to present day. 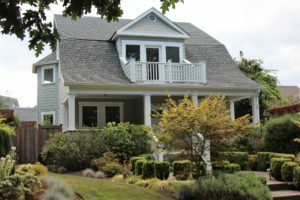 In fact, a recent article published in the Seattle Times found that nearly one-third of the 62 homes immediately south of the Capitol are owned or used by lobbyists, corporations, or unions. While this is nothing new to the residents here, some have concerns about the shifting identity of the neighborhood. Kris Tucker, former Director of the Washington State Arts Commission, has been a South Cap homeowner since 1999 when she first moved over from Boise, Idaho. 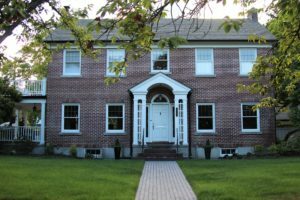 The house had charm, and perhaps more importantly, potential, as she and her husband spent the next several years renovating, remodeling, and customizing their nearly century-old home. 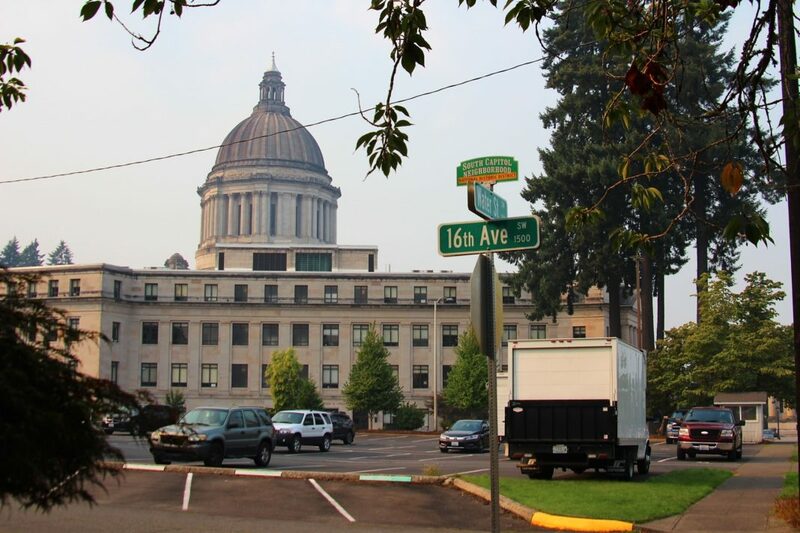 Tucker raves about her neighborhood, but come January each year, she starts to notice a real change in the area as the nearly 800 registered lobbyists and elected officials temporarily move to Olympia to be close to the Capitol. This project came to life through the efforts of members of the highly active South Capitol Neighborhood Association (SCNA) in attempts to maintain the integrity and keep what Tucker describes as the “social fabric” of the neighborhood intact. 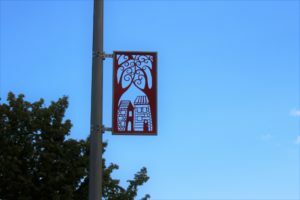 Just this April, the SCNA, in conjunction with the city and local artists, installed six customized metal banners along the busy Capitol Street that intersects the neighborhood, using funds from the City of Olympia Neighborhood Matching Grant program. Even though the banner project took longer than expected, Tucker hopes the SCNA continues executing similar creative ventures in the future. Tucker says the best time to visit the South Cap neighborhood is in April when the cherry blossoms are in bloom, and during Halloween, when nearly 400 trick-or-treaters flock the impressively decorated neighborhood. The spirit of localism is also kept alive during the summer months where many organized races have routes that run through the South Cap streets, July 4th fireworks can often be heard and sometimes seen from homes near the Capitol Campus, and neighborhood potlucks and alley crawls take place during balmy summer nights. Despite the temporary changes brought on during the political season, Tucker still knows she’s got it good living in such a phenomenal district.